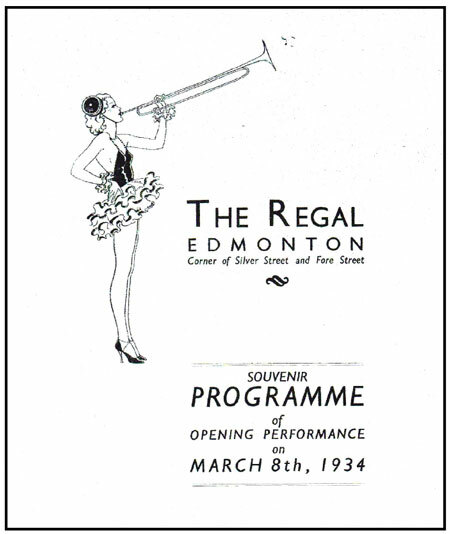 The Regal, Edmonton, which opened on 8th March 1934, was one of the five mammoth cinemas built in Middlesex and was said to occupy the largest site of any cinema in the world. There was seating for 3,000 persons with standing room for another 1,000. In the building there was a café and a large ballroom which had its own stage for an orchestra and of course there were all the attendant features provided by these modern cinemas: cloak rooms, a fully equipped first aid room etc. 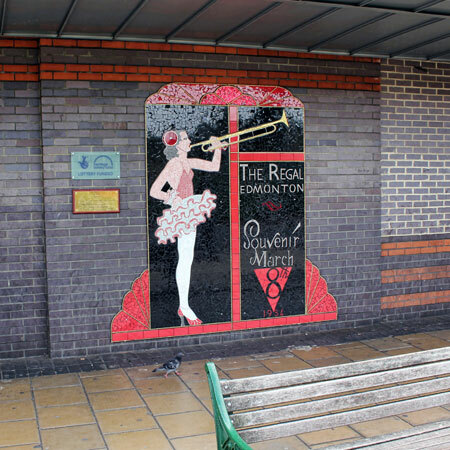 By the 1960s falling attendances meant that much of the seating was redundant and in 1968 it was divided internally between a small cinema holding 1200 people and a bingo hall for 1850 people and re-named the Sundown Theatre. 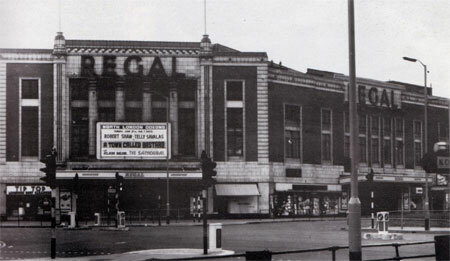 The cinema lasted for a few years but eventually closed down in 1972. Bingo continued for another twelve years and the café and ballroom were used as the Regal Banqueting Suite. During its lifetime some of the most famous performers in the world played there including the Beatles, Frank Sinatra, the Who, Bob Marley and the Wailers and T. Rex. Created by Art Start working with year 5 pupils from Brettenham Primary School.